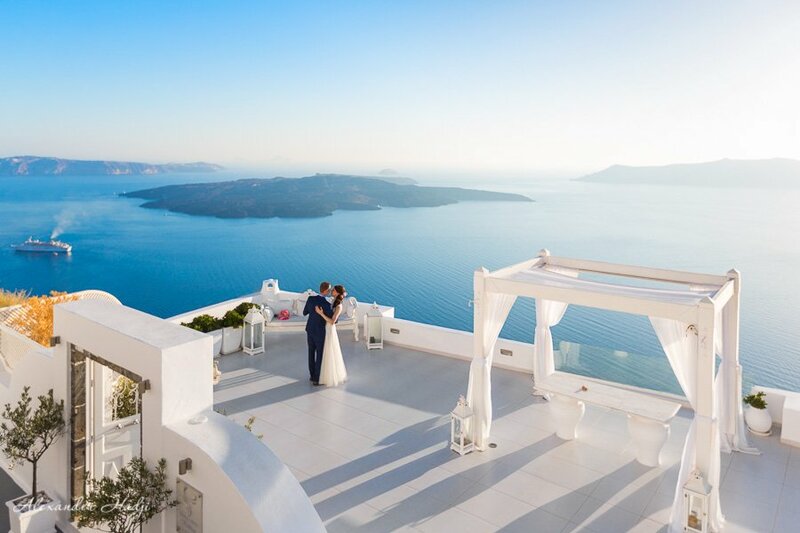 Heaven on Earth is such a beautiful concept for the wedding photography in Santorini. These enchanting wedding photos portray the most magnificent elements of love and unity. The hazy blue sky blends effortlessly into the depth of the endless sea creating a mystical, even etherial aura. 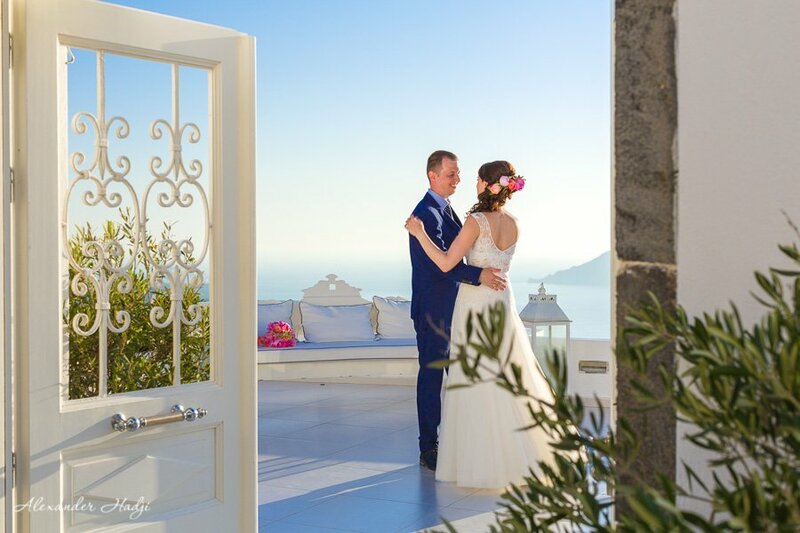 This was the perfect place for Adriana and Josef to celebrate their magical wedding. 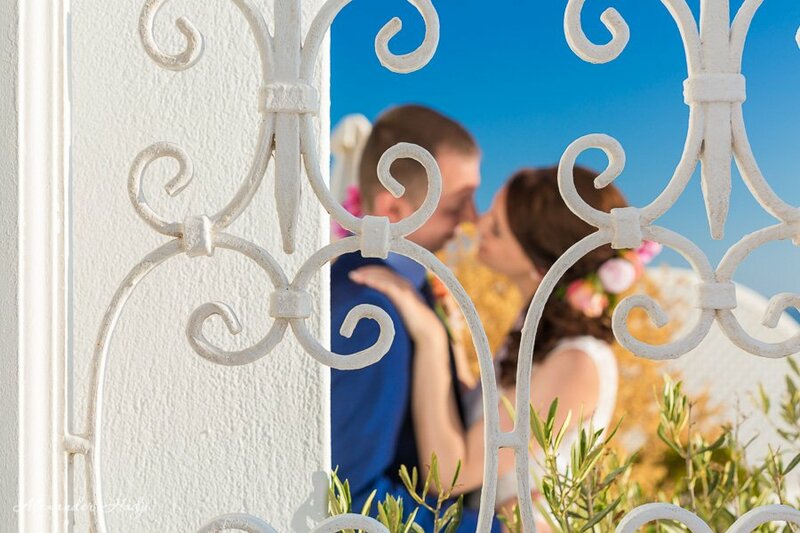 The birth of a new union of pure love and affection happened at one of most popular and dreamy venue, Dana Villas. 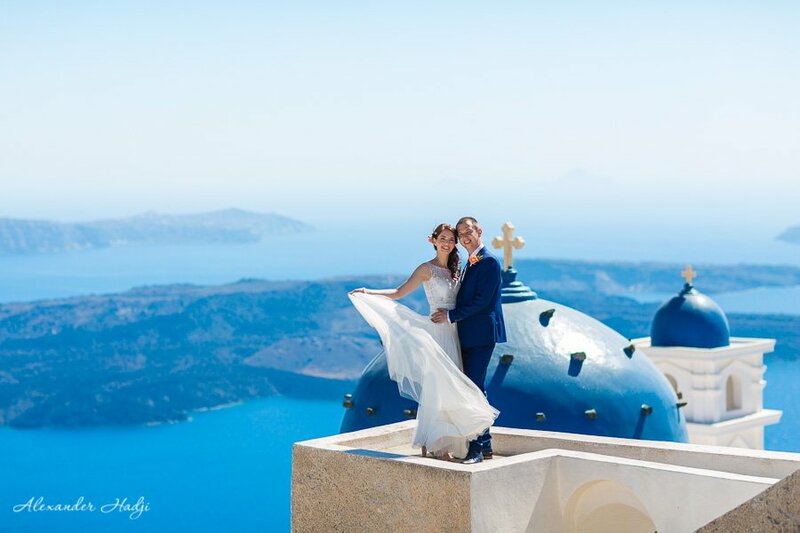 It was essential for Alexander Hadji, Santorini wedding photographer, to make these moments last. This Greek island is known for having harmonious contrasts between the nature and pristine white buildings. 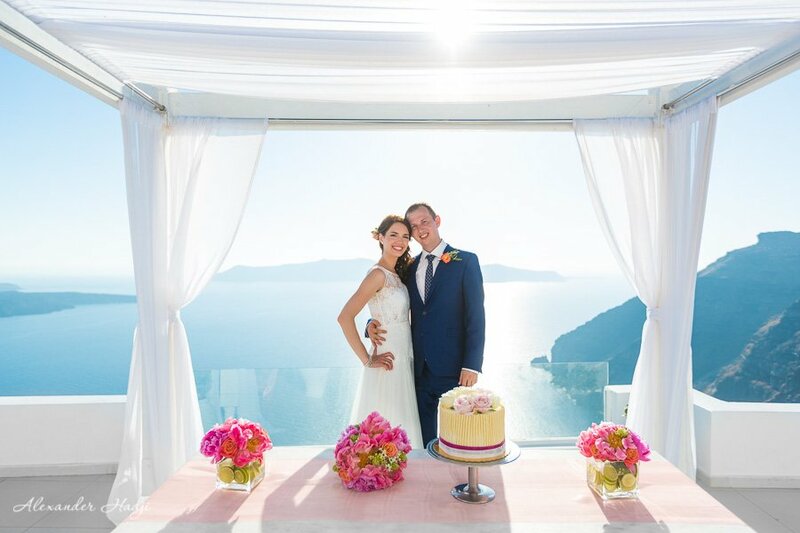 This further emphasises the heavenly appearance in the wedding photography. 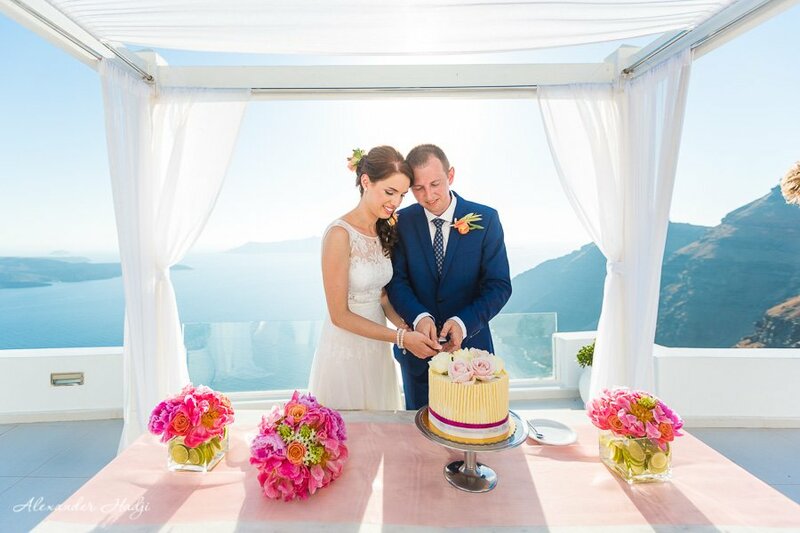 The stunning colours of the scenery complement the happiness of our lovely couple from Vienna. This allows them to truly cherish every moment spent together in this paradise. 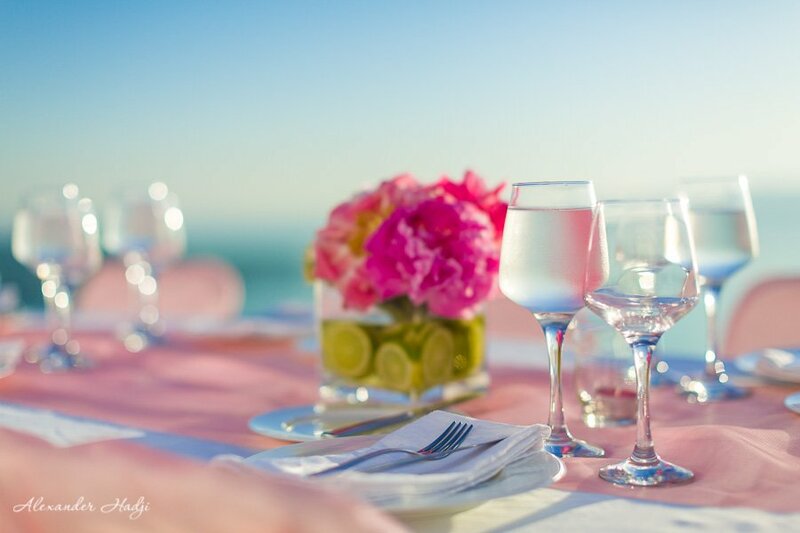 The simplicity and minimalistic look of the background sea truly highlights the beauty and harmony of our couple. While the bright pop in the bouquet’s colour puts a smile on everyones face. This also makes it much more personal and unique. 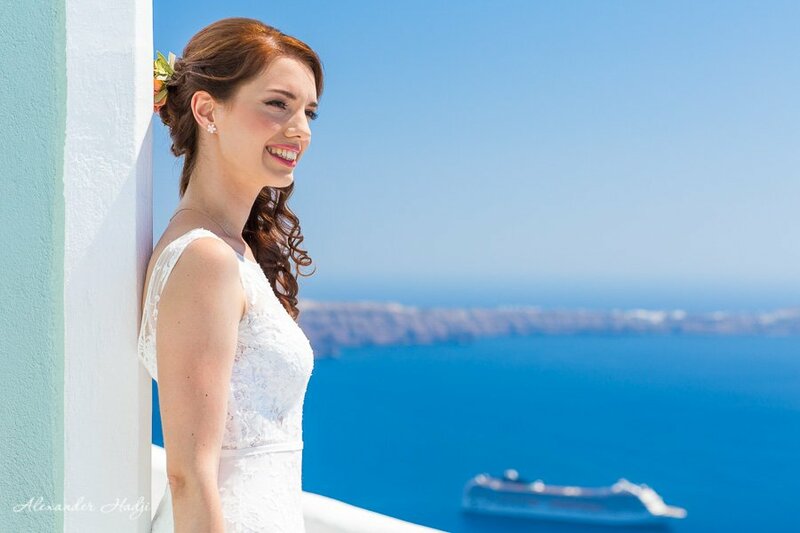 The gorgeous wedding photography in Santorini depict every second. The team started the shoot from the beautiful scenery of the sea and white-and-blue houses. Then the couple went on with the ceremony and moments of laughter with family and friends. The day could not be complete without a breathtaking sunset. 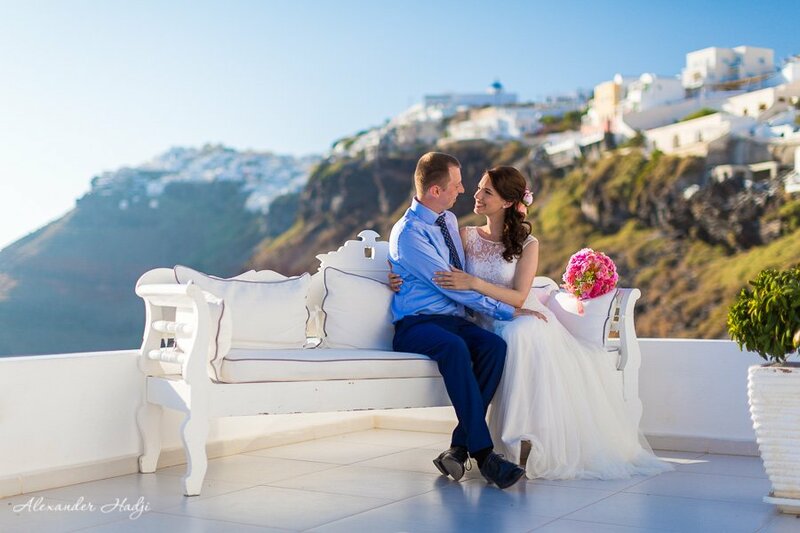 For it creates such a magical effect in these wedding photos from Santorini. “Love is in the air” a common cliche used in many stories. 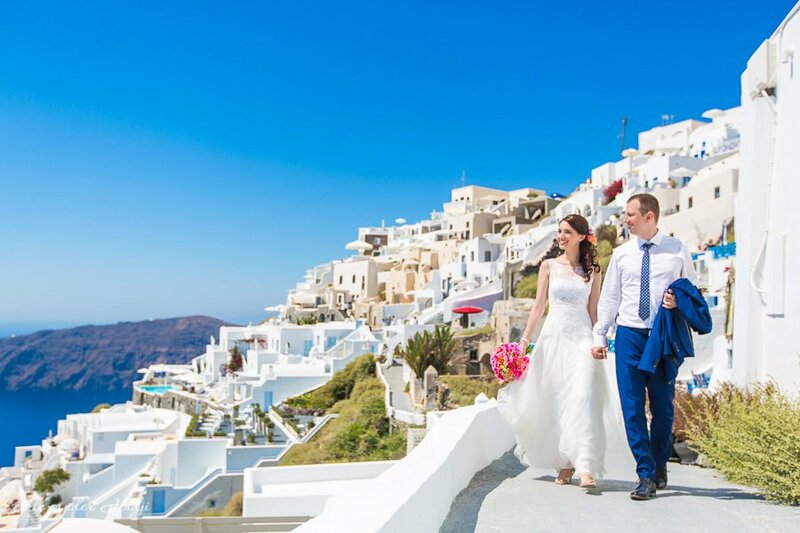 However there is simply no other way to describe these wedding photographs made in Santorini. Love was in the air from the beginning of this photoshoot. It will stay forever with Adriana and Josef. Wherever they go they will always have these photos as memories reminding them of their special day. 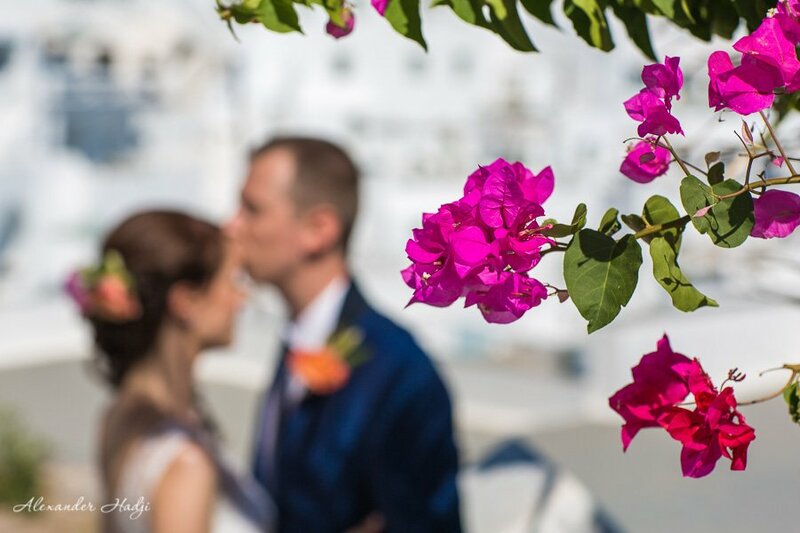 Here you can take a look at another bright wedding in Santorini which took place in Dana Villas Wedding Venue . 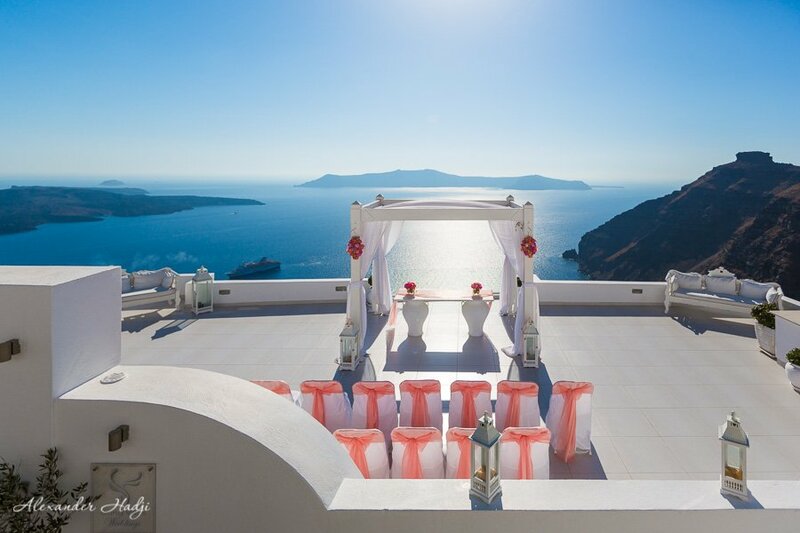 Also check out this lovely wedding in Santorini Gem Wedding Venue, and enjoy a “James Bond” wedding in Santa Irene Wedding Venue. 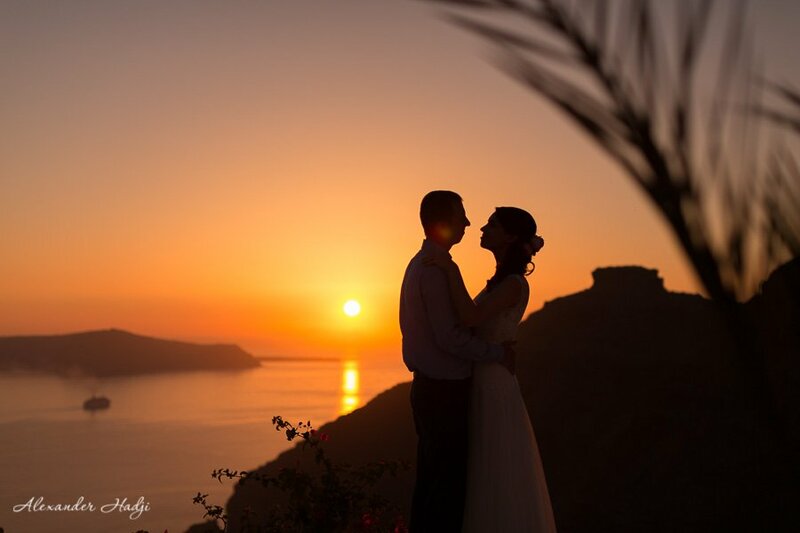 To book your destination wedding photography in Santorini by Alexander Hadji please email to info@hadjiphoto.com. You can also text or call to +306951661016. Viber, WhatsApp and WeChat available. 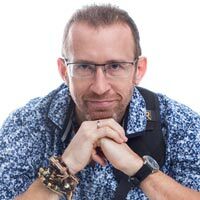 Otherwise get in touch via FB or leave your contact details to get a call-back from the photographer.